calculus Deposits on the teeth are organic and inorganic substances that cover the enamel, gum, cementum of the teeth, and appliances in the mouth. calculus Deposits on the teeth are organic and inorganic substances that cover the enamel, gum, cementum of the teeth, and appliances in the mouth. Most of these deposits are unwanted, harmful and toxic substances or debris. 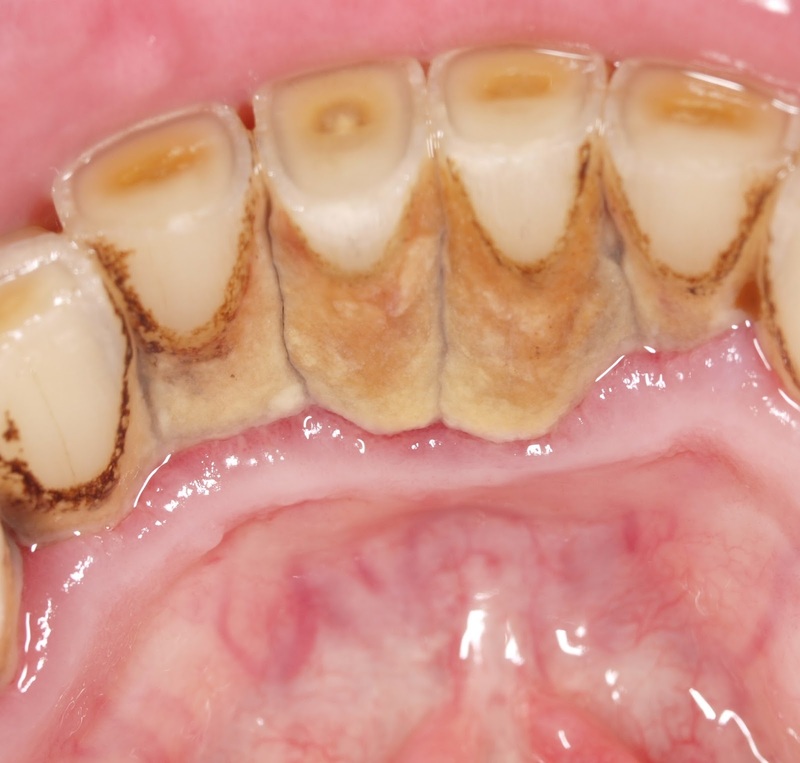 What are the systemic infections of calculus Deposits on the teeth? It is the most common dental procedure done in a dental clinic. It involves the discoloration of the teeth due to an intake of pigmented substances that can stain teeth. They are often the results of pigmentation of food or chemical agent’s. The dental stain may lead to tissue irritation by creating a rough tooth surface, which contributes to plaque accumulation. Using Good fluoridated Toothpaste can eradicate dental stain like pardontax have a daily fluoride and anticavity, and antigingivitis toothpaste for bleeding gum and whitening your teeth daily also gives you fresh breath is also essential for your mouth. You can buy pardontax from Walmart or Amazon. Food debris and dental stain school create a favorable environment for plaque accumulation and calculus Deposits on the teeth. Plaque is the local initiating factors since it initiates and causes gum inflammations when it accumulates on the teeth adjacent to the gum. Therefore if plaque must be present for calculus Deposits to form on the teeth, controlling calculus deposition begins with plaque control. The primary destructive action of calculus is that it acts as a holding mechanism for the plaque. The underlying calculus acts as a nidus for the accumulation of the surface plaque and keeps the plaque in direct contact with the tissues. Calculus may also act as a mechanical irritant to the gingivitis and periodontal tissues. However, it is important to know that these deposits, if allowed to remain in the mouth without constant removal, can cause oral disease. Such as; mouth odor; dryness of the mouth ( xerostomia ). Although, the dangerous effects of oral deposits on the general body system is stated that dental plaque, food debris, and material alba are the causes of dental caries and periodontal diseases and their consequent systemic infections. This is the presence and multiplication of bacteria in the bloodstream. There are different barriers in the mouth that prevent the entry of bacteria plaque into the bloodstream. These barrier systemic include physical and immunological barriers, but when the normal body system state of equilibrium is disturbed by hypoxia, trauma, poor oral hygiene, periodontal diseases, abscess, e.t.c, bacteria propagate and cause infections. This is the inflammation of the endocarditis ( the inner membrane of the heart ), particularly of the heart valves. Endocarditis often occurs due to infection with bacteria, which may be introduced into the bloodstream. Poor oral health, tooth extraction, or vigorous use of a toothbrush particularly when there is a periodontal infection which promotes the introduction of bacteria into the bloodstream. Thus, the main predispose factors are bacteriaemia, Septicaemia, and pyemia. These are diseases of the heart, blood vessels, and blood circulation. Periodontal infections are capable of the predisposing individual to cardiovascular diseases. Oral bacteria such as Streptococcus sangius and ponlayromonas gingivitis induce platelet aggression, which can lead to thrombosis formation. When an antibody reaction to periodontal bacteria is induced, it localized in the heart and triggers complement activation. This may result in heart failure. Research studies have shown that expected mother’s with very poor oral health is prone to have babies weighing less than 2.4kg at birth. This could be due to multiplication and migration of bacteria as a result of frequent hormonal changes that occur during pregnancy.